eat to live? Do you breathe to live? If you do, then you are accomplishing what the human body requires for life. But what of the soul? Does your soul eat and breathe? Your soul is in dire need of daily food and breath, without which, it will shrivel up and die. Spiritual declension and backsliding are the result of neglecting to feed the soul. Little by little prayer and bible reading/meditation are put off and other “more important” things are taken up to busy the mind, or fill up a given day. As fallen humans, we are prone to this, even among the best Christians. We need to have a plan, a strategy, which aids us to endeavor through each day with a structured and defined reading agenda. Many of the Puritans read 10-15 chapters a day (they had the time–or rather, they made the time.) The calendar here is not a schedule to read 15 chapters a day, although we should immerse ourselves in the Word of God as much as possible. This is a schedule for reading 6 chapters a day: 3 from the Old Testament and 3 from the New Testament. What did I just read about? What is God trying to say in this chapter? What is God trying to tell me, or teach me in this chapter? How can I apply these truths to my own life? Asking questions is one of the best ways of studying and meditating. 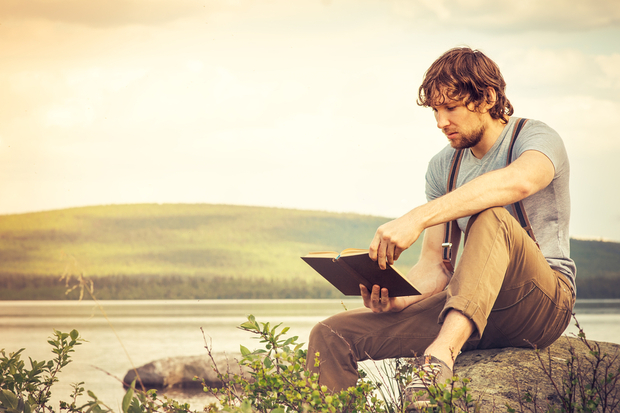 Prayerfully consider the chapters you read and seek the Spirit of Truth for His power to work in you and motion you to obedience as you read and meditate on the Word of God.